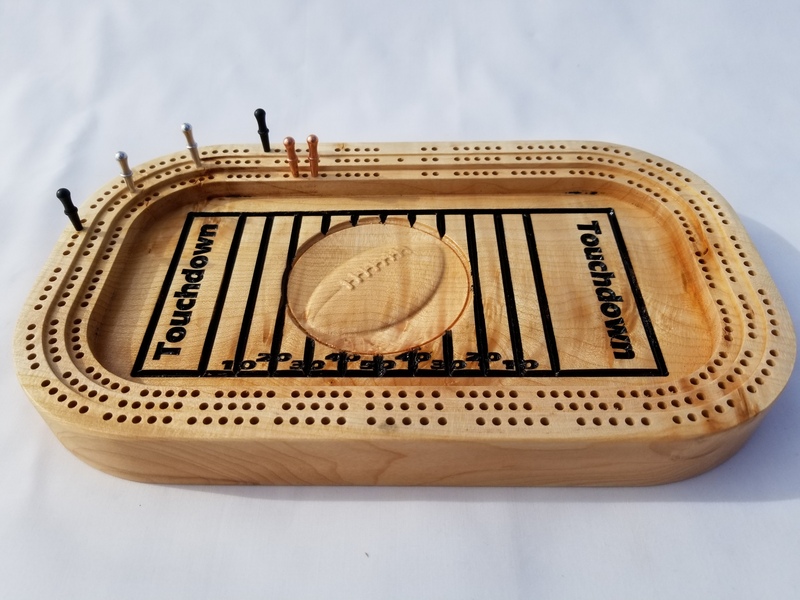 Our Stadium 2-3 player Cribbage Board is a unique and fun addition to your home. Each board is made out of solid maple and has unique figuring. 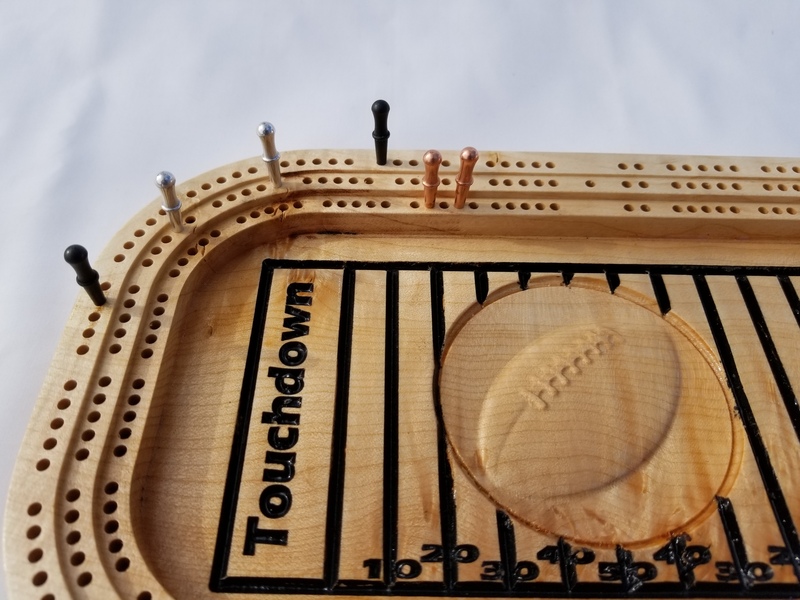 Each board is coated with durable laquer and comes with metal pegs for many years of play. The underside style pin holder keeps everything in one package. Made from one piece of maple with a pin holder on the bottom and rubber feet to protect your furniture. Great way to spend a lazy Sunday afternoon. Customizable: We can add your favorite team or add names dates to the stadium field. Contact us at admin@ladyandthecarpenter.com for more information on pricing and options. Each board comes with two sets of three pegs. Peg colors Vary. Deck of Cards NOT included.